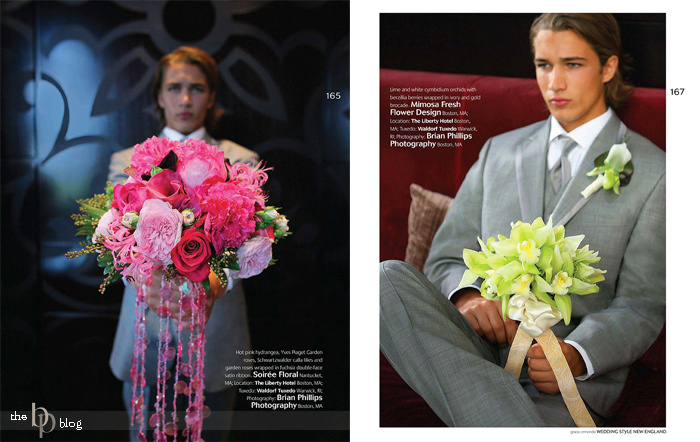 I am humbled once again to be prominently splashed across the 2009 issue of Wedding Style New England. We had the honor of shooting numerous assignments including Mercedes Benz Fashion Week in New York, a Fashion Shoot in Rhode Island at Point Pleasant Inn & Resort, a Mens feature at Louis Boston, another feature about Be Our Guest Rentals, Bryan Rafanelli designs (which is also a feature in the National Magazine) as well as some table tops and grooms with bouquets at the new Liberty and Mandarin Hotels. 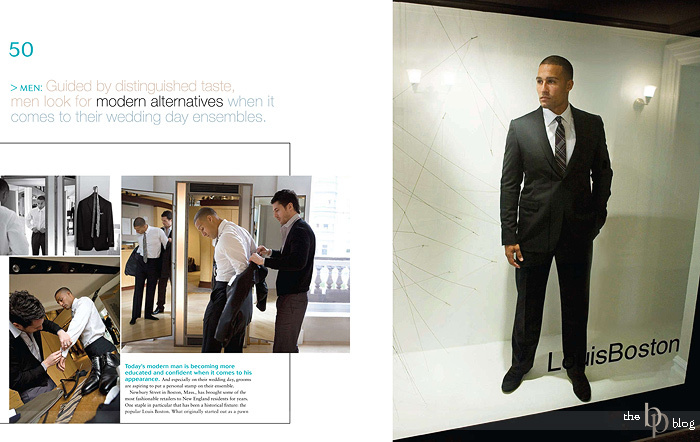 So here is a sampling of some of our photos in the mag, with many more throughout. 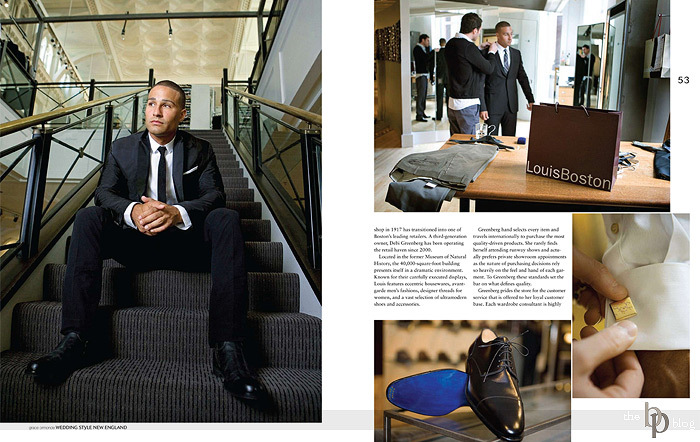 Enjoy and let me know if you need a copy of the magazine! Fashion Shoot at the exclusive Point Pleasand Inn & Resort in Bristol, RI. 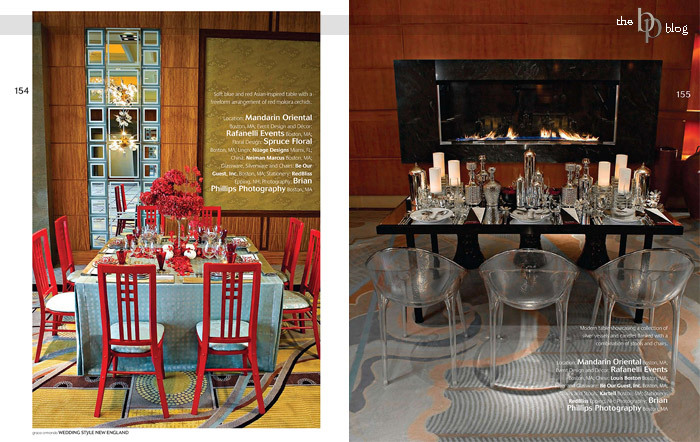 Bryan Rafanelli tabletops at the Mandarin Hotel just prior to its recent opening. Bridal Bouquets at the Liberty Hotel. And my favorite event to cover of them all, Mercedes Benz fashion week in New York! Meet Hops our favorite new dog!